“It’s just a great place. We always see somebody we know. It like a secret neighborhood bar!” It is Gay Wilton’s birthday. 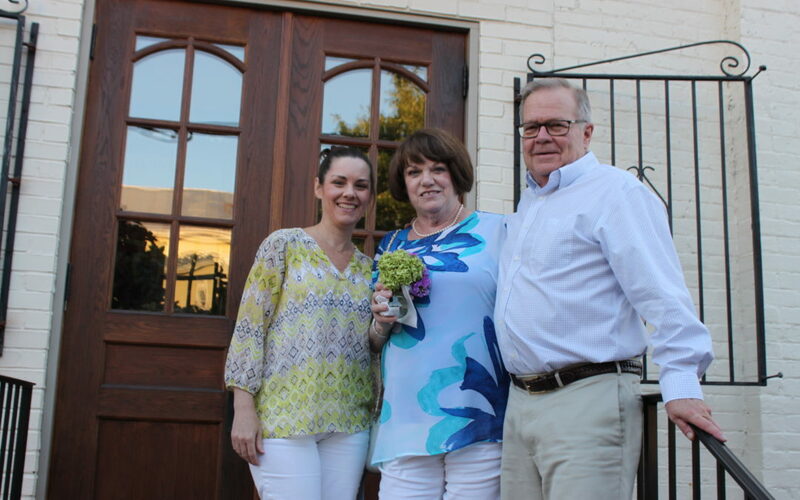 She’s decided to celebrate with her daughter, husband, and favorite dish at Victor’s. 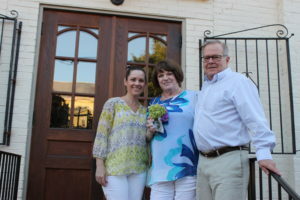 Gay and her husband, Fred, have been coming to Victor’s since the early 1980s. She explains, “After Fred and I got married we did a lot of traveling on our boat. We were out of the area for a number of years. But, whenever we had the opportunity, we would come to Victor’s. 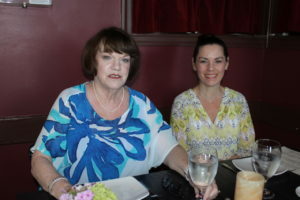 It is our go-to place.” Now that the Wiltons are on firm ground more often than on the boat, Gay says it is the “consistently fabulous food” and knowledgeable staff that keeps her coming back. Gay says she usually orders the Bolognese. “That’s my go-to. I love the Bolognese.” But recently, Chef George has offered a pesce del giorno that Gay can’t stop thinking about. “She called me the next day and told me it was the best meal she’s ever had in her whole life,” daughter Kristen chimes in. “We all love Italian food. All three of us,” says Gay. 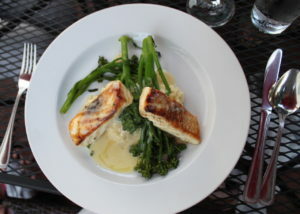 “Victor’s is authentic, it’s delicious, and it’s consistently great. You always know you’re going to have a good meal.” And a great birthday celebration they had indeed, complete with the halibut and a margarita for the birthday girl! Victor’s Bittersweet Rita cocktail will put you in the mood to celebrate. Suerte Añejo tequila, Aperol. Heering cherry liqueur, fresh lime juice, salt and sugar rim. Yum!